For any new readers: as a thank you to everyone who has been keeping up with the Cotton & Flax blog this year, every month I offer a little thank you gift for your support – a free downloadable iPhone wallpaper background designed by yours truly! 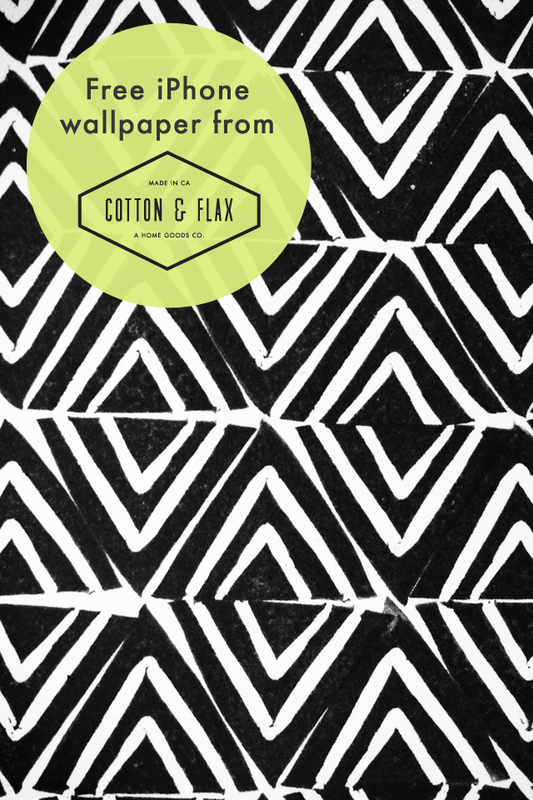 Click here to download the Cotton & Flax iPhone wallpaper for January. 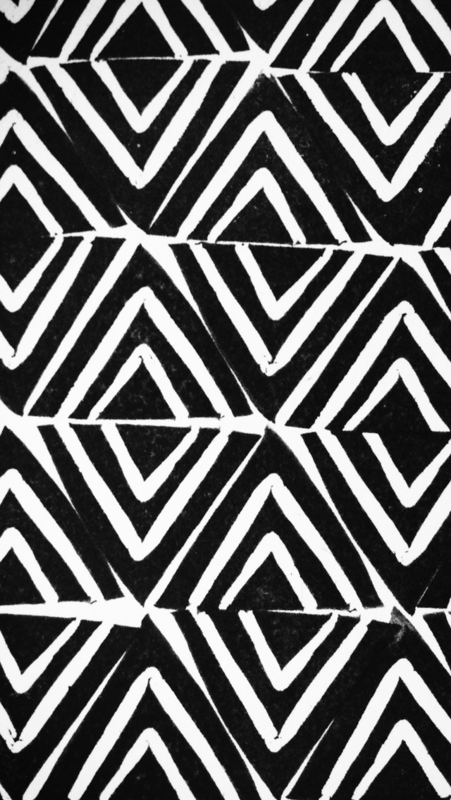 This month, the wallpaper background features a chevron pattern that came from last year’s collection of textiles. 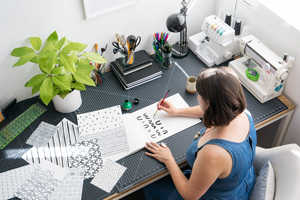 While I’m no longer printing this pattern onto fabric, I thought it would be fun to bring it back for one last hurrah! This wallpaper should work for most smartphones, not just the iPhone (although it may get cropped depending on the screen size). 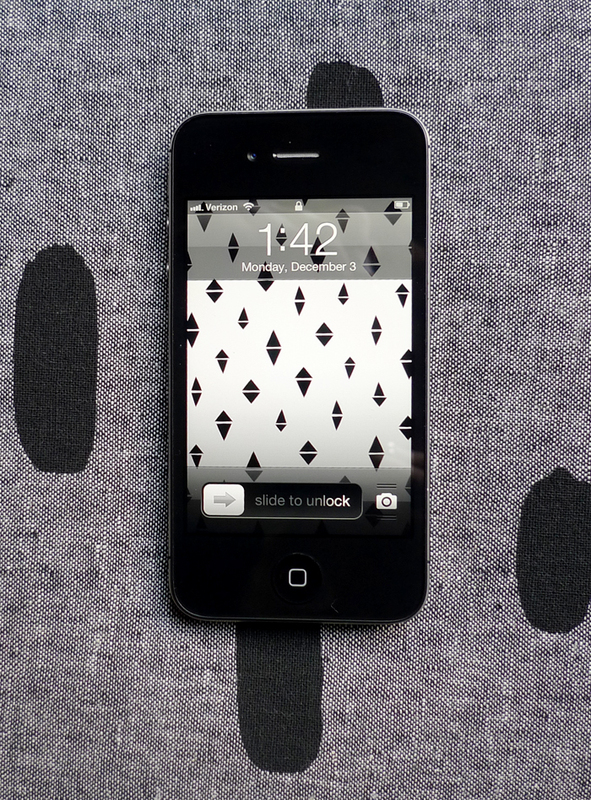 You can also download other Cotton & Flax iPhone wallpapers here! 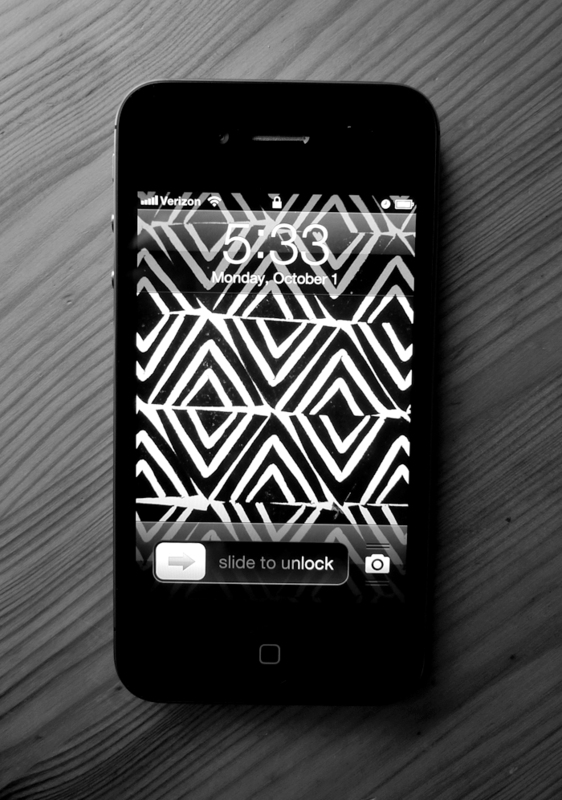 You didn’t think I forgot to post the December iPhone wallpaper, did you!? No way! For any new readers: as a thank you to everyone who has been keeping up with the Cotton & Flax blog this year, every month I offer a little thank you gift for your support – a free downloadable iPhone wallpaper background designed by yours truly! 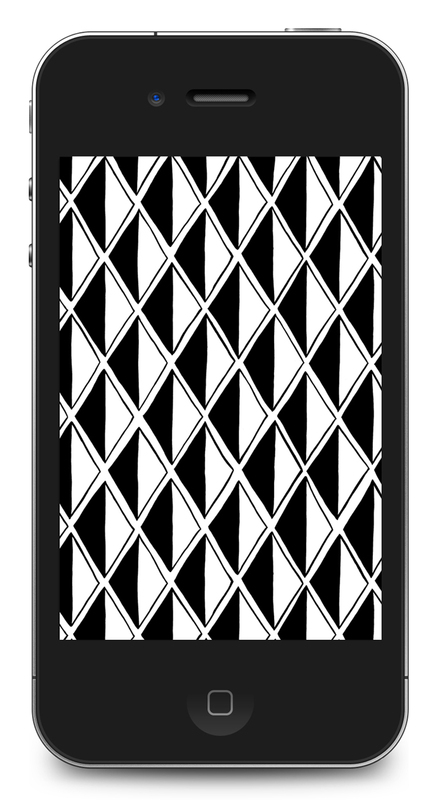 Click here to download the Cotton & Flax Divided Diamond iPhone wallpaper. 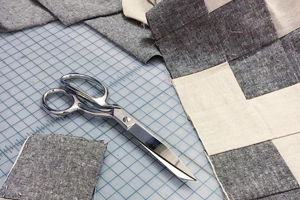 This month, the wallpaper background features a diamond pattern that came from last year’s collection of textiles. 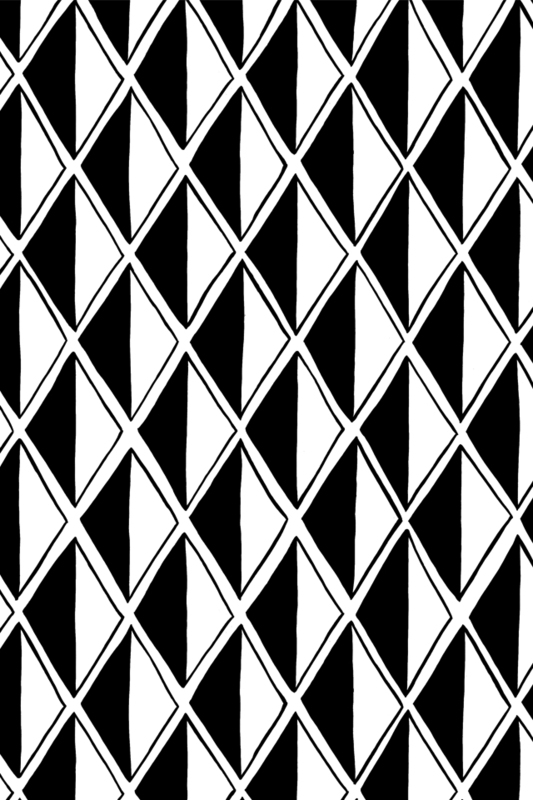 While I’m no longer printing this pattern onto fabric, I thought it would be fun to bring it back for one last hurrah! 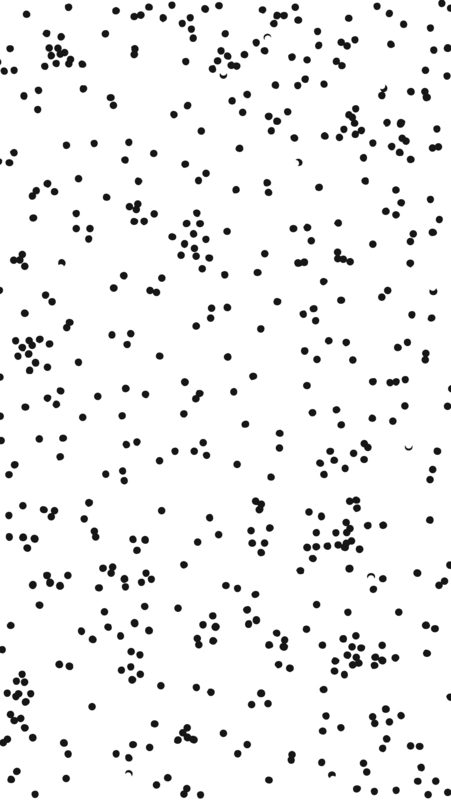 This wallpaper should work for most cellphones, not just the iPhone (although it may get cropped depending on the screen size). In the future, I may even create wallpapers for your computer desktop or iPad, too! For now, I hope you enjoy this little extra. 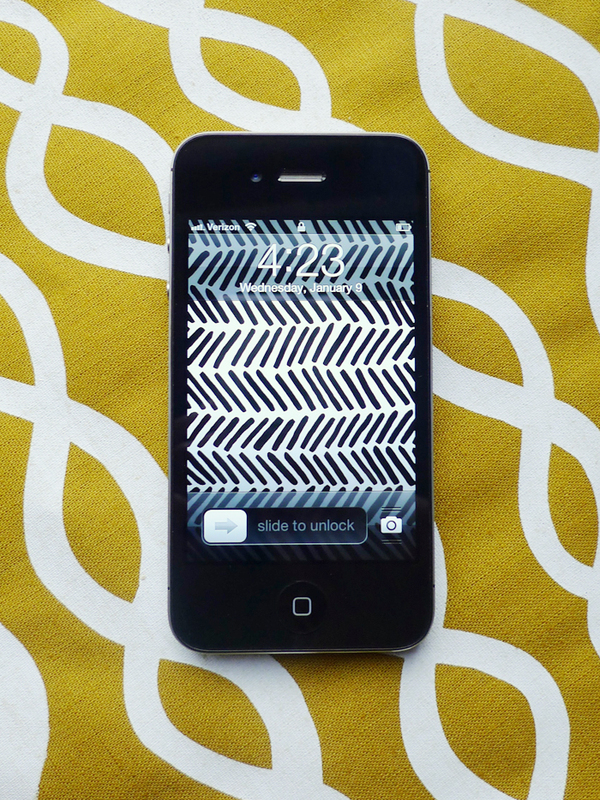 There are lots of other free patterned iPhone wallpapers to download, as well! 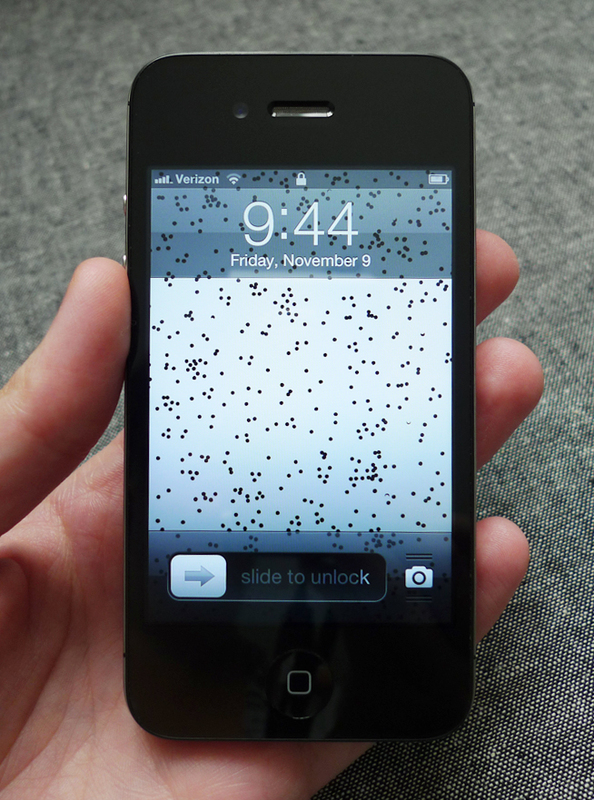 Regular readers know I love to give away freebies when I can (you’ve seen my series of iPhone wallpapers, right? 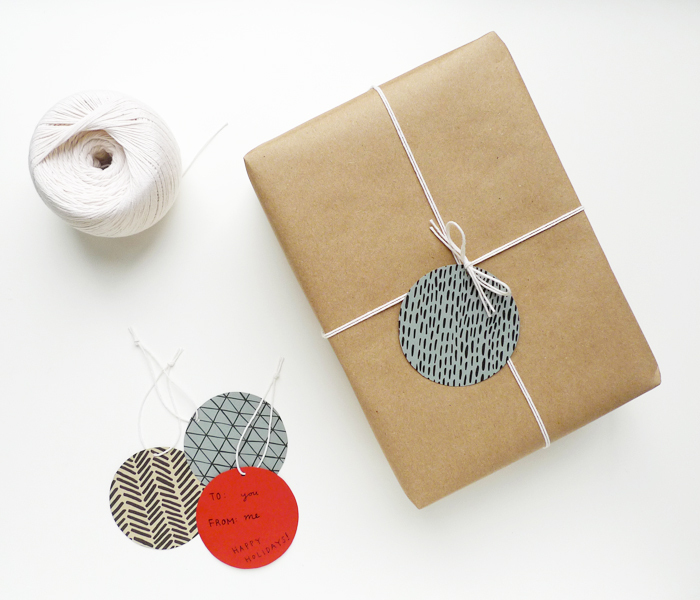 ), and for the upcoming holiday season I’m happy to offer my readers these free printable patterned gift tags. 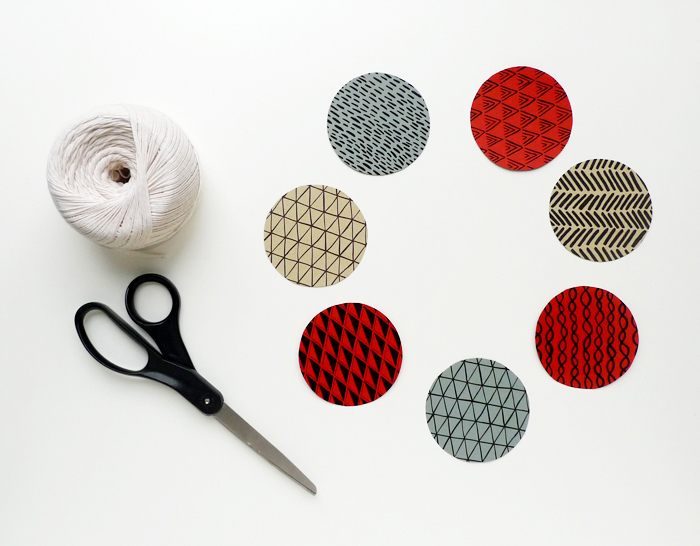 I’ve selected six of my favorite patterns from the Cotton & Flax 2012 collection to feature for these tags, I hope that one of your favorites is included, too. 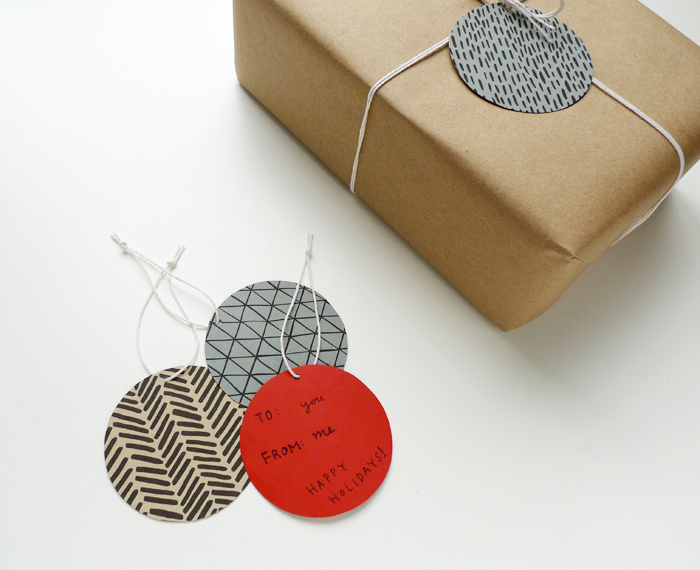 Click here to download the .pdf file of the gift tags that you can print at home. Downloading should begin as soon as you click the link. I just ask that you please use these tags for personal use only. Thanks! 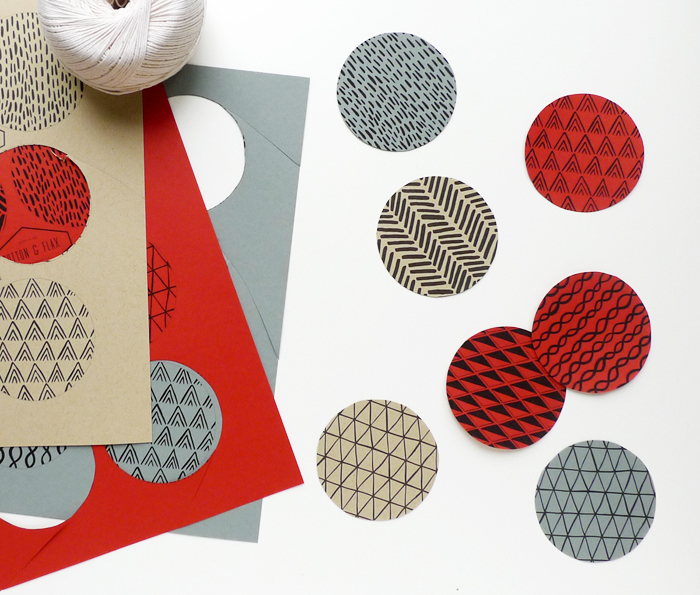 After printing on the paper or cardstock of your choice, just cut along the edges, use a hole-punch to create a hole near the top, and thread through some ribbon or twine and you’ve got a great set of gift tags for all your holiday gifts. Enjoy! As a thank you to everyone who has been keeping up with this relatively new blog of mine, I wanted to offer another thank you gift for your support. 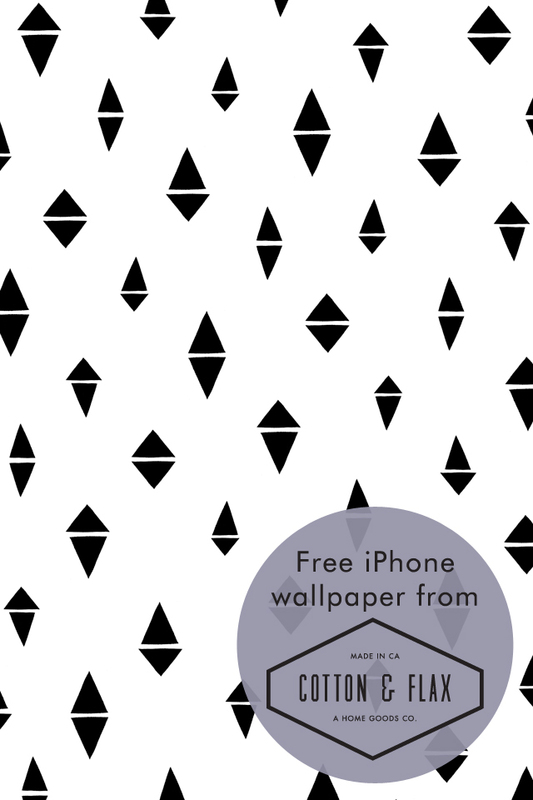 Thus, I will continue to share a free, downloadable iPhone wallpaper every month, featuring a new pattern that I designed for Cotton & Flax. 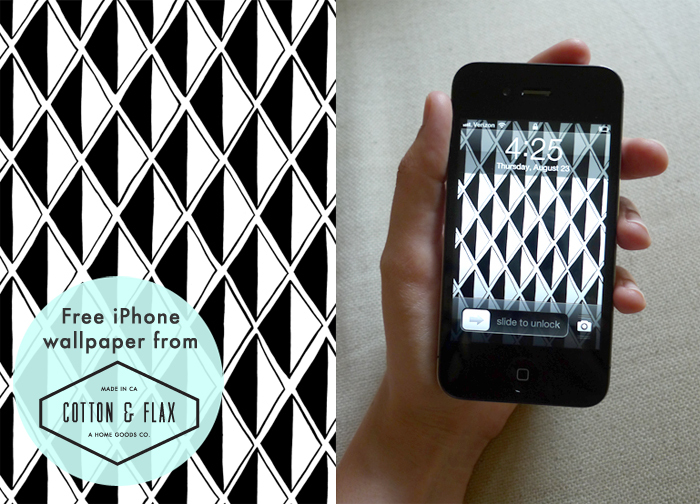 Click here to download the Cotton & Flax iPhone wallpaper for October. 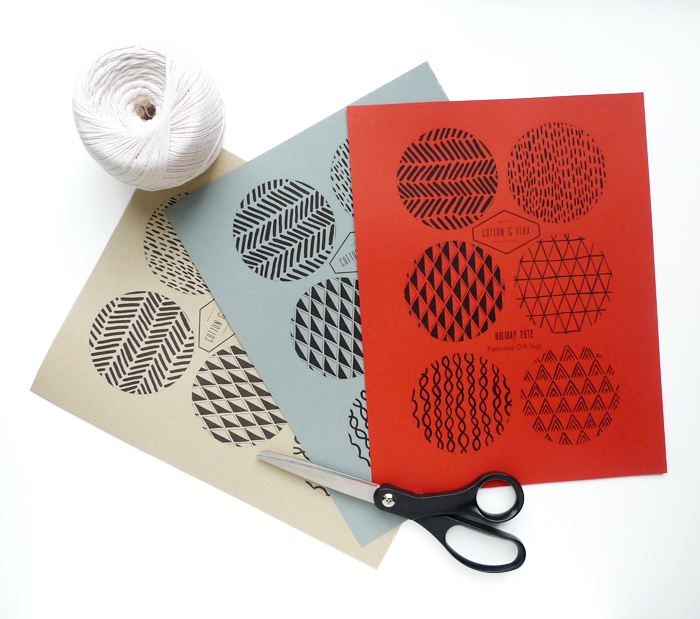 This month, the wallpaper background is a stamped repeat V pattern, which I created using a hand carved linoleum stamp and an ink pad! 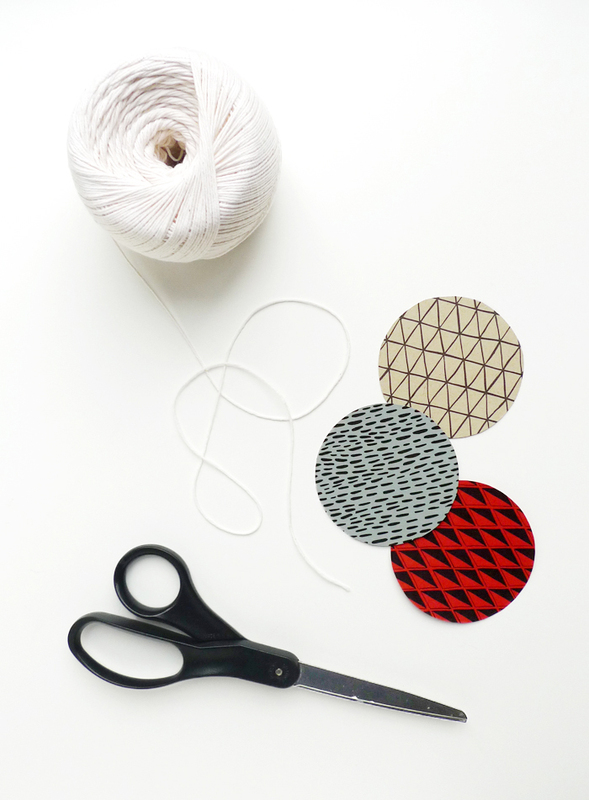 Just a simple, handmade pattern to make your phone a little more fun. 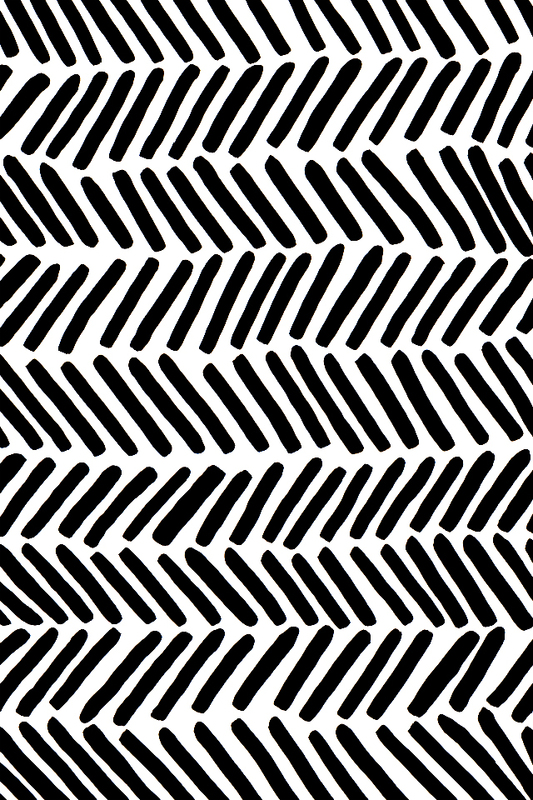 This wallpaper should work for most cellphones, not just the iPhone (although it may get cropped depending on the screen size!) In the future, I may even create wallpapers for your computer desktop or iPad, too! Wait, there’s more! Check out our full range of iPhone and desktop wallpapers available to download! I meant to post this at the beginning of the month, but it’s already the 16th, can you believe it?! As a thank you to everyone who has been keeping up with this new(ish) blog of mine, I wanted to offer a little thank you gift for your support. 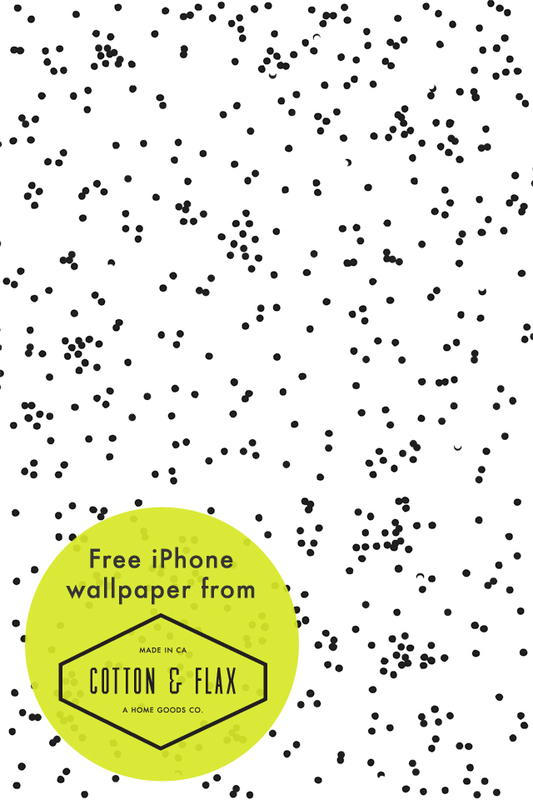 Thus, I will begin sharing a free, downloadable iPhone wallpaper every month, featuring a new pattern that I designed for Cotton & Flax. 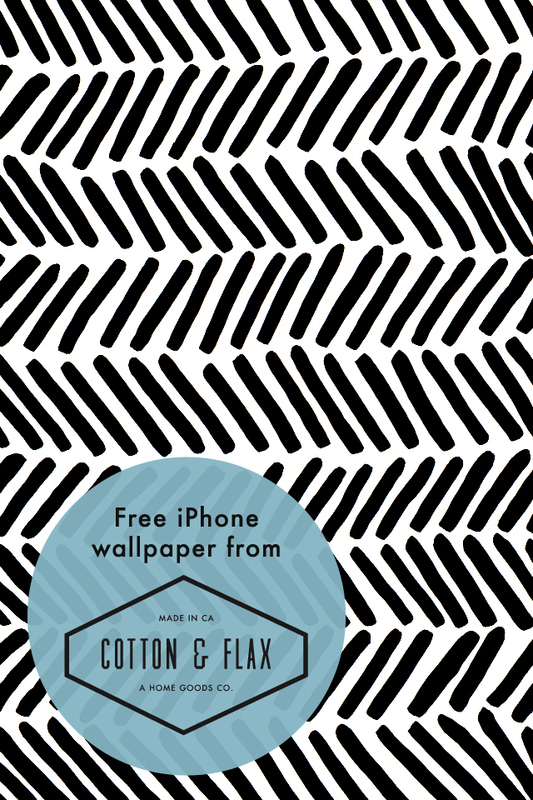 Click here to download the Cotton & Flax iPhone wallpaper for September. 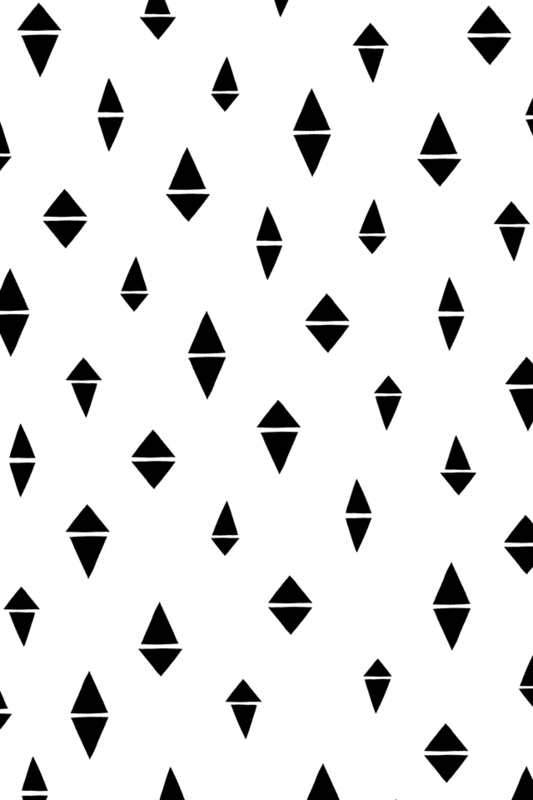 This month, the wallpaper background will be my new half-diamonds pattern, which I am super fond of at the moment. 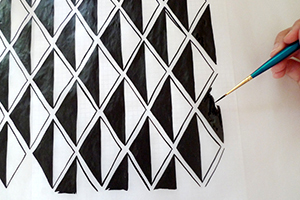 I made this pattern by hand drawing each shape using pen and ink, so it has a nice imperfect edge to it. This wallpaper should work for most smartphones, not just the iPhone (although it may get cropped depending on the screen size!) 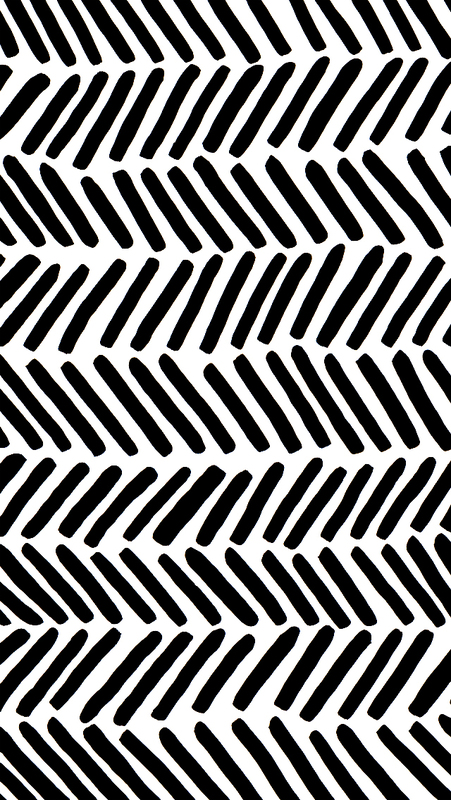 You can also download the many other free wallpapers I’ve created, too!